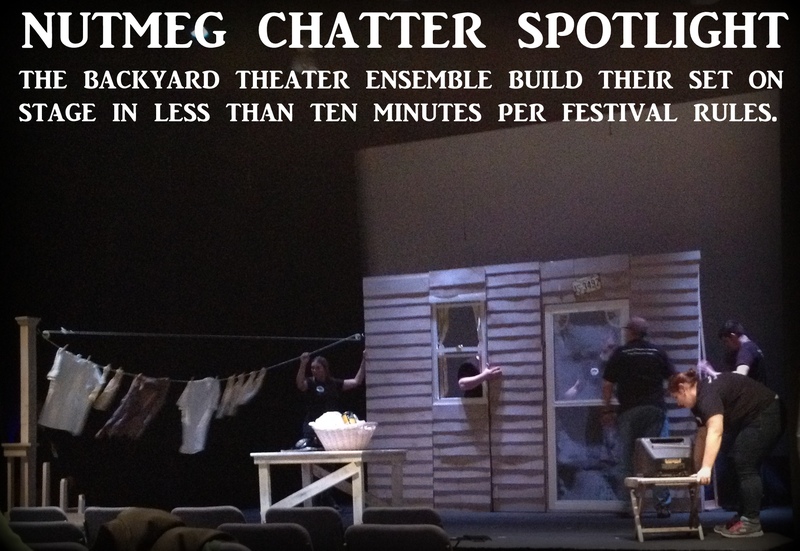 The New England Regional Theater Festival is a showcase competition between the best theater companies from Massachusetts, Connecticut, New Hampshire and Maine. The winning production will go on to the national competition in Michigan. 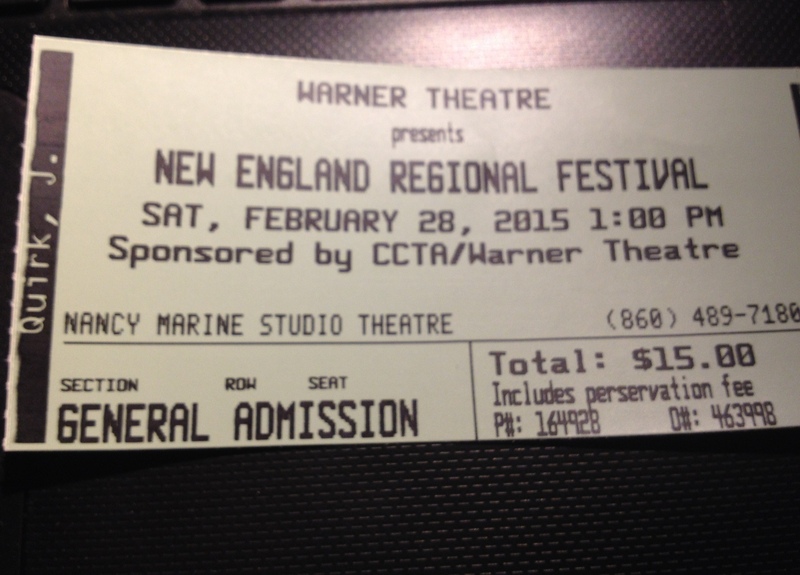 The first day of the festival was held on Saturday 2/28/2015. The first session was at 1pm with the Massachusetts companies and the second session began at 6pm with the Connecticut companies. Tickets are 15 dollars for the whole day (both sessions for each day). I attended the Connecticut shows. 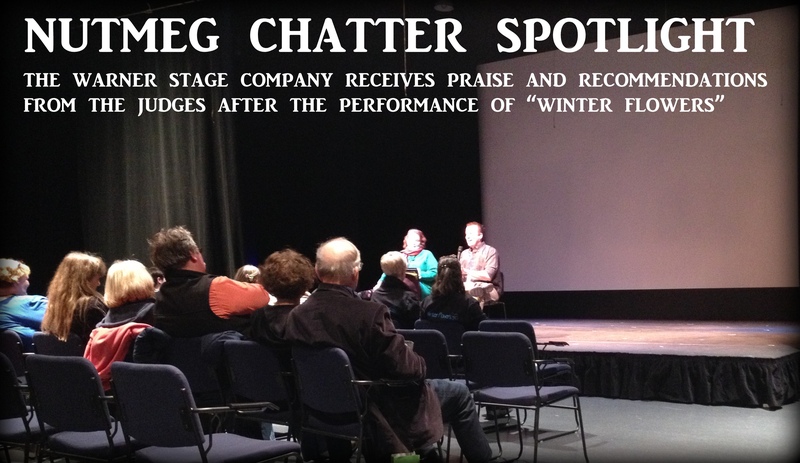 Nutmeg Chatter has covered the work of Thomaston’s Backyard Theater Ensemble and the Warner Stage companies work extensively so I was looking forward to seeing two award winning performances from our local stars. Now interestingly there was no male actor on the stage during this second session and they weren’t missed. It is a positive experience to enjoy performances where the female roles are not secondary, where the story is not told from the male lead perspective while all female characters are merely defined by the relationship to him (the girlfriend, the seductress or the mother archetypes). The Warner Theatre’s “Winter Flowers” featured two women on stage and Backyard Theater Ensemble’s “Laundry and Bourbon” featured three women. Both productions won the “best production” award in the Connecticut festival and both deserved that honor. Because the festival has not concluded and the adjudication has not concluded, I will submit a full write up AFTER the competition or, should one the productions proceed to the nationals, I will submit the full write up after the national competition!